When my first daughter Stephanie was born, we included her in this photo of five generations. From left to right are my maternal grandmother, my great-grandmother (born 1889), my daughter Stephanie (born 1988), me, and my mom. My great grandmother lived to be over 100 years old. I remember playing poker with her when I was young; she generally won and kept the money! 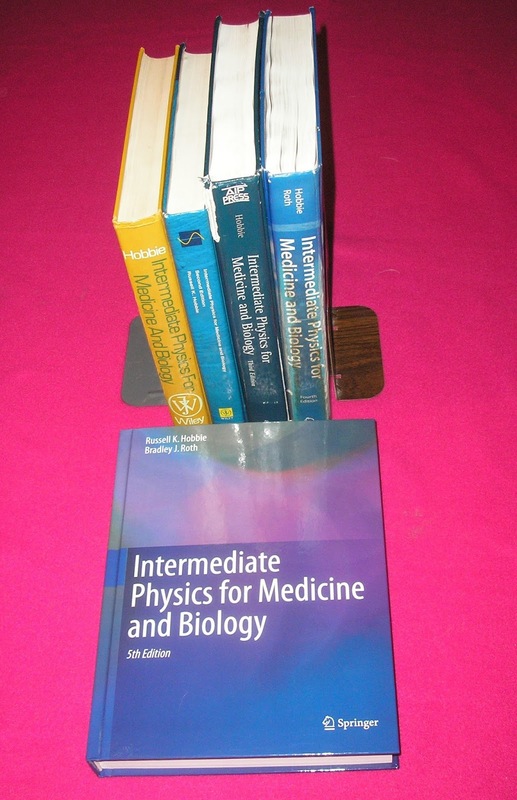 Intermediate Physics for Medicine and Biology. Recently I took another five-generation photo. 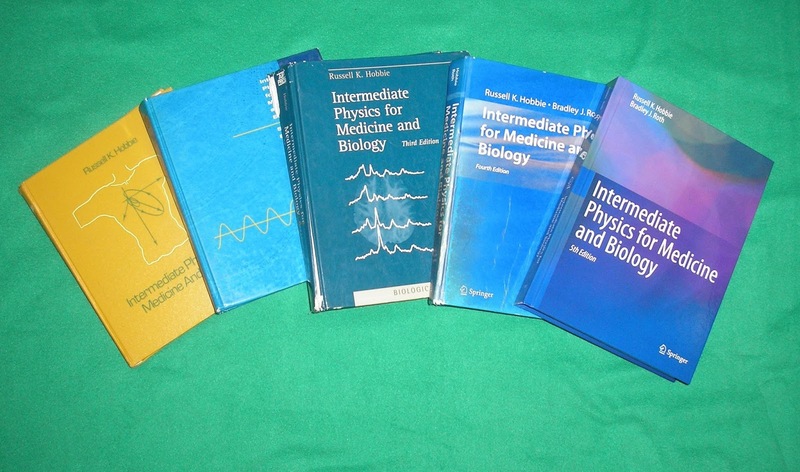 There now exist five generations (editions) of Intermediate Physics for Medicine and Biology. My office is one of the few places you can find all five on one bookshelf. 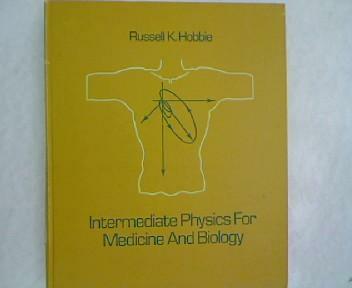 I was coauthor on the fourth and fifth editions; the first three editions were authored by Russ Hobbie alone. 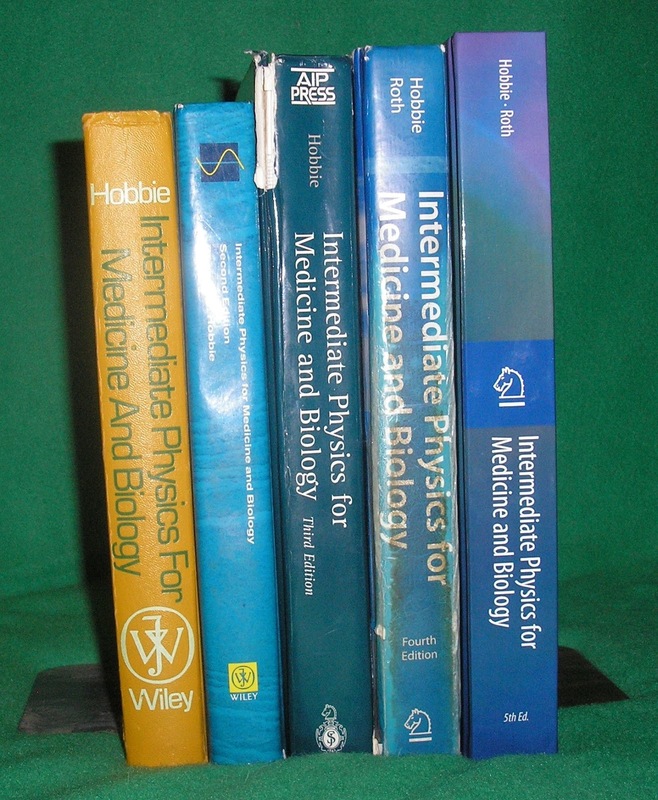 The yellow book is the first edition of IPMB, published by John Wiley and Sons in 1978. The blue version with the yellow sine wave on the cover is the second edition, again published by Wiley in 1988. The green cover is the third edition, published by Springer with AIP Press in 1997. 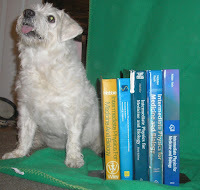 The blue fourth edition was published by Springer alone in 2007. Finally, the blue/purple fifth edition, again published by Springer, appeared in 2015. My dog Suki seems to like them all. I have a special fondness for the first edition, which I bought for a class taught by my PhD advisor John Wikswo at Vanderbilt University in the early 1980s (price: $31.95). That is where I learned much of my biological and medical physics. When Russ was preparing the second edition, he asked John and I to create some three-dimensional figures of the electrical potential and magnetic field of a nerve axon. 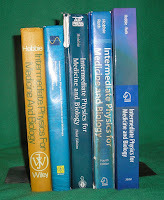 There figures have appeared in each subsequent edition of IPMB, and are Figs. 7.13 and 8.14 in the fifth. My third edition is pretty beat up. It is the textbook I taught out of for several years after I arrived at Oakland University. The fourth and fifth editions I know best, as I helped write them (although Russ remains the primary force behind every edition). IPMB has changed over the years. 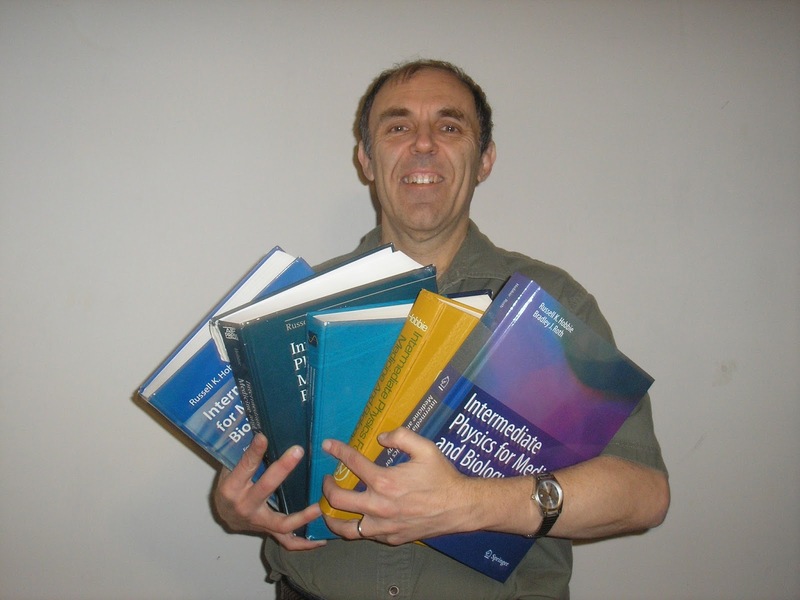 The first seven chapters are the same in all versions, but Russ added chapters on charged membranes and biomagnetism in the second edition. The first edition’s chapter on signal analysis split into two in the second: one on one-dimensional signal analysis and another on two-dimensional images. The 4th edition picked up a chapter on ultrasound. The first edition’s chapter on x-rays fissioned into a chapter on how x-rays interact with tissue and a chapter on the medical uses of x-rays. Finally, the second edition introduced a chapter on magnetic resonance imaging. Early editions featured a figure on the cover. I particularly like the first edition’s electrocardiogram picture (Fig. 7.16 in the 5th edition). Russ and I planned on using a computed tomography illustration, Fig. 12.12, on the 4th edition cover, but Springer opted to use a generic cover with no figure. Working on revisions of IPMB has been a pleasure and an honor. But really, the five generations of IPMB is a tribute to Russ Hobbie and his vision of advancing the teaching of physics in medicine and biology, which he has pursued over nearly four decades. I hope you find the book as useful as I have.